Last night the Lonely Whale Foundation threw their first annual summer sunset dinner at a private penthouse garden in the heart of SoHo to benefit their ocean conservation efforts in education and millennial engagement. Presented by co-founders Lucy Sumner and Adrian Grenier, Executive Director Dune Ives, and Refinery29 creative Madison Utendahl, the intimate evening was attended by over 100 supporters of the foundation including Jake Sumner, Lee Bannon, Chris Fischer, Emma Riley, Shari Sant Plummer, Isis Arias, and Mark Dalio. The evening began with a sustainable and local raw bar by Billion Oyster Project and Crave Fishbar, supporters of work in ecosystem restoration. The dinner menu brought a unique twist to the seemingly familiar East Coast table with 8 takes on Lionfish, a tropical species. Ryan Chadwick, owner of New York, Montauk, and Aspen's Grey Lady donated the product as the only purveyor of the trendy fish in the city. Chadwick’s champion Lionfish, an invasive species wreaking havoc on the Atlantic Ocean’s ecosystem, was an interesting reminder for all attendees of their connection to the ocean - even in downtown New York City. Under the full moon, the evening concluded with a betting war on Adrian’s ability to finish his impending open ocean swim with Richard Branson this September in Italy, while sipping on Illegal Mezcal, Hidden Sea Wine, Blue Ice Vodka and Montauk Brewery beer. 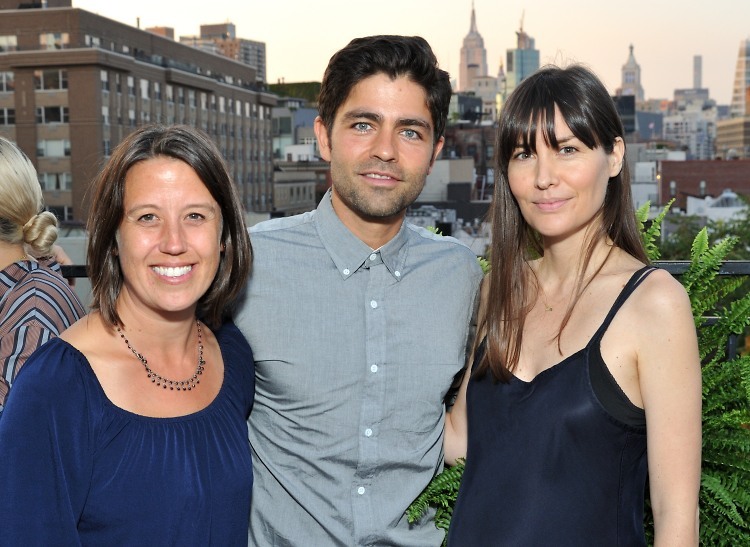 Co-founder Adrian Grenier even gave a few small words at the end of the night, adding not only to the humanity, philanthropic and empathetic tone of the evening, but also shedding some light on a growing problem in our world today. "Our oceans are so gravely important, not only for basic means of existence for sentient creatures like the lonely whale, but they serve as an indicator for greater issues in our climate." "Human interaction with our global environments are affecting our climate at a drastic rate, and it is up to us to do something about it before it gets to a certain point. If we wait to address the issue when it becomes a problem, it will already be too late."